Noterik collaborated with Sound and Vision and Europeana on a methodology to embed the secure EUscreen player, developed by Noterik, in the Europeana portal. As a result, tens of thousands of EUscreen audiovisual items now play out directly from the Europeana portal, making Europeana an even more valuable resource for the general public. Noterik for many years has been the technical implementation partner for the EUscreen project, having built the portal and secure video player and providing ongoing infrastructure and technical support and development. The EUscreen portal offers free online access to thousands of items of audiovisual heritage. It brings together clips that provide an insight into the social, cultural, political and economic events that have shaped the 20th and 21st centuries. Europeana is the European Commission’s digital platform for cultural heritage. 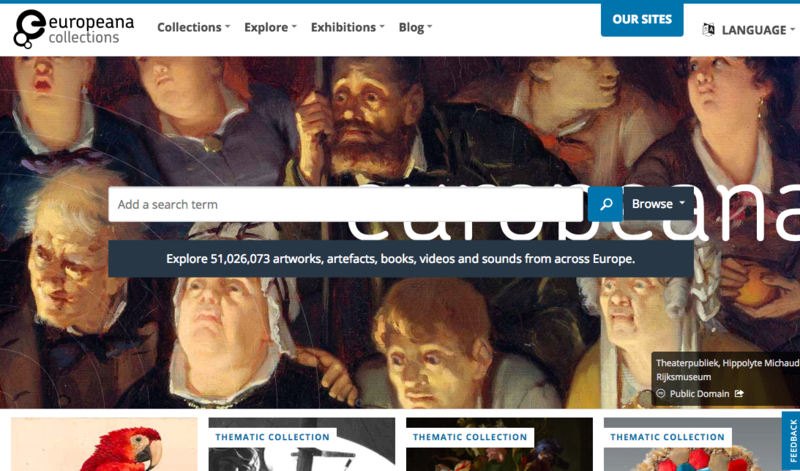 Through Europeana, citizens and the Cultural and Creative Industries (CCIs) can access European culture for the widest possible variety of purposes. With the implementation of the embed functionality, using the oEmbed standard as proposed by Europeana, Noterik has ensured the publication of 60.000 EUscreen items that play out directly on the Europeana portal.